Home » Our Doctors » Xavier Gregorio, O.D. Dr. Gregorio is native to central California, having been born and raised in a small suburb on the Pacific coast. 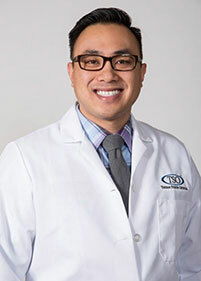 There, at the University of California at Davis, he earned his undergraduate degree in Biological Sciences, where he quickly learned his true passion was to become a Doctor of Optometry. 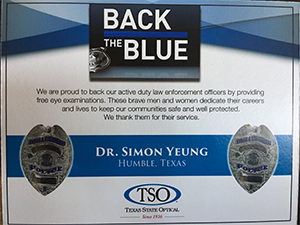 Afterwards, he moved to Houston to attend the prestigious University of Houston College of Optometry. Throughout his doctoral training, Dr. Gregorio participated in a variety of specialty clinics, as well as performed externships in both primary care and specialty-referral clinics, which provided a wealth of knowledge and experience in patient care and managing ocular disease, including glaucoma, diabetic retinopathy. He is also experienced in fitting specialty contact lenses including multifocal and scleral lenses, and co-managing cataract, retinal, and refractive surgeries. Dr. Gregorio is a licensed Therapeutic Optometrist, allowing him to diagnose and treat various eye disorders and diseases. In his free time, Dr. Gregorio enjoys traveling and exploring all of the great restaurants Houston has to offer.